Share the love this Valentine’s weekend at one of Dublin’s most popular eateries. Balfes is serving up a real treat for romantics and friends alike with their Valentine’s sharing specials, accompanied by some of Balfes’ bespoke craft cocktail creations. 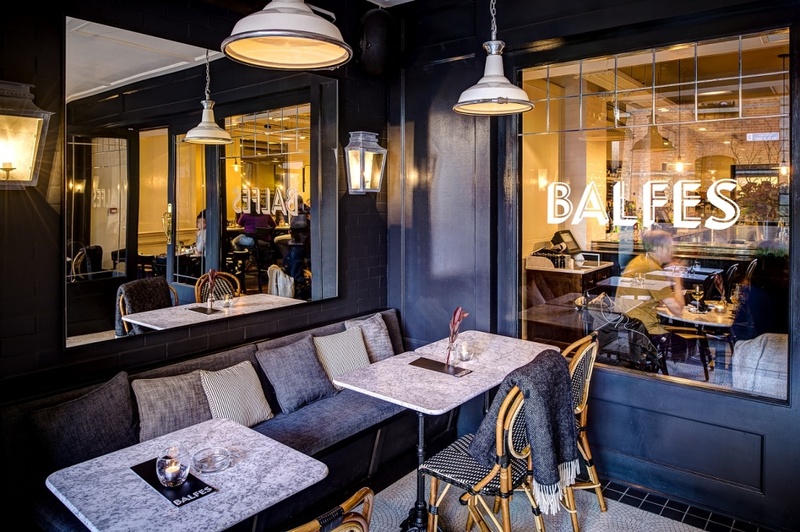 Valentine’s specials at Balfes include a tempting Seafood Sharing Assiette – fresh Carlingford oysters with lemon and sauce mignonette, josper grilled gambas with harissa aioli and lime, and mussels with garlic and herbs. For dessert, the restaurant’s pastry chef has created an Assiette d’Amour, so you can share a little sweetness with a chocolate fondant served with almond ice cream, raspberry mousse and parmesan cheesecake with fig compote. Why not top off the evening with the most elegant cocktail on the menu. ‘The Malika‘ is a sweet, delectable, one of a kind craft cocktail containing home-made rose petal syrup balanced beautifully with vodka and lychee. Garnished with beautiful rose petals, this charming and gentle blend is reflective of Malika Favre’s French artistic touch. The Valentine’s weekend special menu is available for lunch or dinner until 10pm nightly from Friday 12th to Sunday 14th January.